This book addresses a fundamental dilemma in religious studies. 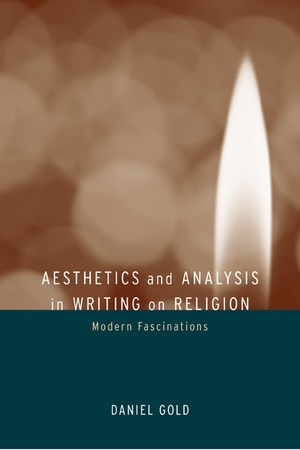 Exploring the tension between humanistic and social scientific approaches to thinking and writing about religion, Daniel Gold develops a line of argument that begins with the aesthetics of academic writing in the field. He shows that successful writers on religion employ characteristic aesthetic strategies in communicating their visions of human truths. Gold examines these strategies with regard to epistemology and to the study of religion as a collective endeavor. Daniel Gold is Professor of South Asian Religions at Cornell University. He is the author of Comprehending the Guru: Towards a Grammar of Religious Perception (1988) and The Lord as Guru: Hindi Saints in North Indian Tradition (1987).